The middle of July can mean a lot of things for different people, but athletes know why the middle of July is so important: end of dead period. Now, I don't know about other states or regions or what have you, but I know that it can be a general consensus that when it gets closer to August, athletes know that their few days of summer (and those two weeks without sports) are coming to an end. Because it's tryout time. To be honest, I would have completely forgotten about it. But back home, my brother and sister are both trying out for high school soccer. Brandon, just recovering from two concussions, is going through six hours a day in the hottest weather you can imagine, and Shelby, an incoming freshman, is trying out for a school soccer team for the very first time (at my school!!!!). And if you'll remember, a long, long, long time ago, I used to actually be an athlete, and a pretty intense one, at that. So that's why I laugh thinking about this time last year, because so much has changed and I can't even explain it. Remember my super intense Throwback Thursday post in May? I had tons of people tell me they teared up and loved it. This time last year, I was stressed beyond belief. Volleyball used to be my life. I was a student and an athlete. Maybe not the best athlete, but that's why I had to work so hard at it. I was always at strengthening sessions and open gyms and practices and tournaments, and I loved it, but I thought that that hard work would eventually get me to the skill level I wanted to be at. 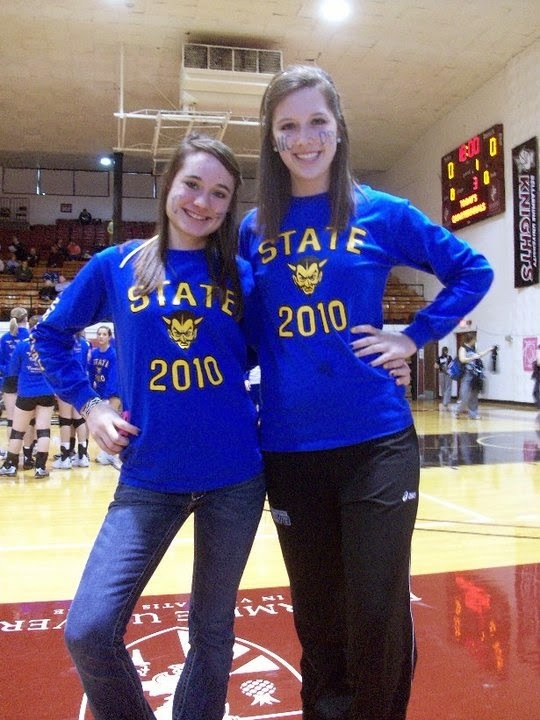 Starting at a new high school freshman year, volleyball was honest to goodness the best way that I got to know people. I had my middle school friends, but we were such a small group and none of them played, so I had to quickly make friends with people I'd played with for a few years. I crack up looking at this picture because it was taken before the academic freshman year had even started, and I start to see a few people that I'm still close with today. 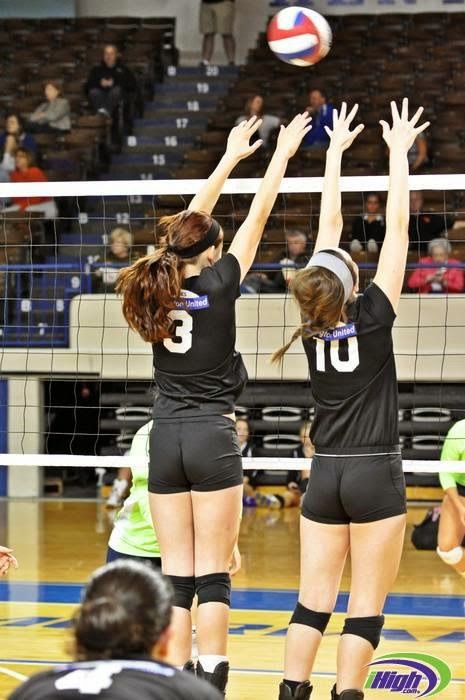 Volleyball taught me how to befriend everyone and work in a team. First off, can we take a minute to just laugh at this picture and find the odd things?? This was taken in the fall (freshman year), when I should've been tan, my makeup is way too dark to function, and that smile was taken off some freaky mannequin. Whatevs. 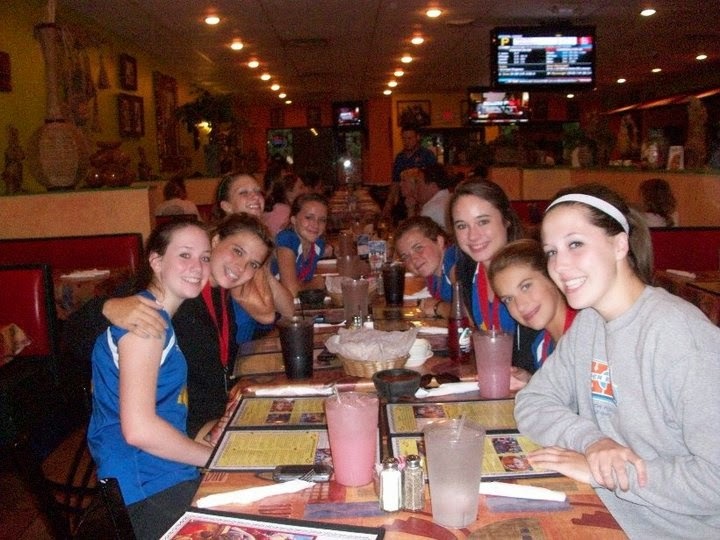 The important part is that volleyball really made me feel part of a team and made me feel special. 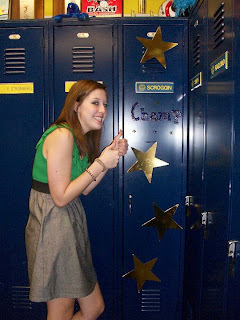 Just little things like this, when we had secret buddies and they'd decorate our lockers, made me feel fantastic. I loved it. 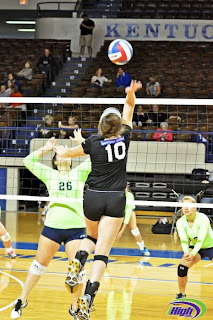 Volleyball taught me about working hard for an end goal, even when you're not the one directly affecting it. My freshman year, the varsity team had the chance to go to the state competition. I'll tell you what, I hauled booty to get to Louisville and cheer on our devils. I wasn't playing, but I wanted our team to win so badly. Megan (pictured) and I made so many signs, painted up, and showed our true spirit. Volleyball emphasized the value of knowing yourself, and knowing yourself well. One of my best friends, Elizabeth, would put inspirational quotes on my locker every game day, and I would do the same for her. 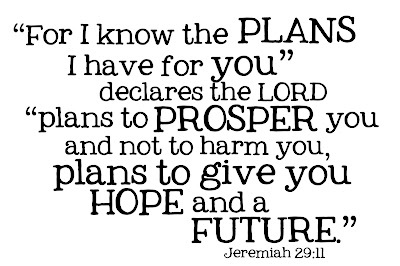 This is where my quote obsession started, but it's also when my sense of self-efficacy began as well. Volleyball made me love people that I might not have talked to beforehand. This group above had so many differences, but we all loved volleyball so much and wanted to win more than anything (hence the first place trophy pictured). 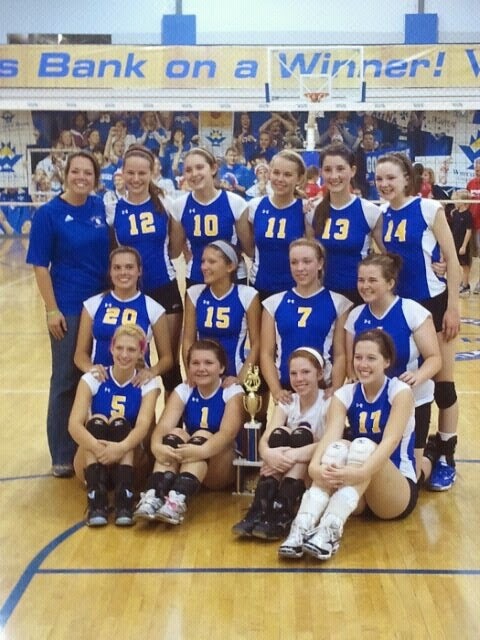 These two pictures make me really miss volleyball, and I'm not afraid to admit it. It cracked me up when people would ask how volleyball was going, I told them I wasn't playing (they figured I was cut), and they started to apologize profusely. But it was funny because I was so over it. Getting cut from my high school volleyball team was one of the lowest parts of my life (silly to think about that now): I cried for a day straight and didn't sleep. Ironically, getting cut from my high school volleyball team was one of the best things that ever happened to me. I learned so much about myself and so much about what I truly enjoy that not getting to play volleyball was truly a blessing in disguise. I love the sport (and still do), but I'm simply not a natural athlete. Not a natural athlete in that I can't breathe and sleep the sport, and that I can't physically be up to par with others. I believe in hard work, but at the end of the day, if I'm not enjoying it, why am I doing it? So like I talked about in that May post, everything that's happened to me since that last middle of July has been for the better. Never in a million years did I think that I would be happy for not making the team (one of the best high school teams in the state, if I may add), but here I am. 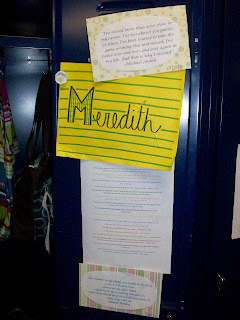 Without being cut, I probably wouldn't have loved Pinterest (my friends will attest that the days after the cut decision, I spent 30 hours on Pinterest), wouldn't have loved to bake, wouldn't have loved to craft, wouldn't have loved to be more social, and most of all, wouldn't have Monogram Meredith and wouldn't love to write. 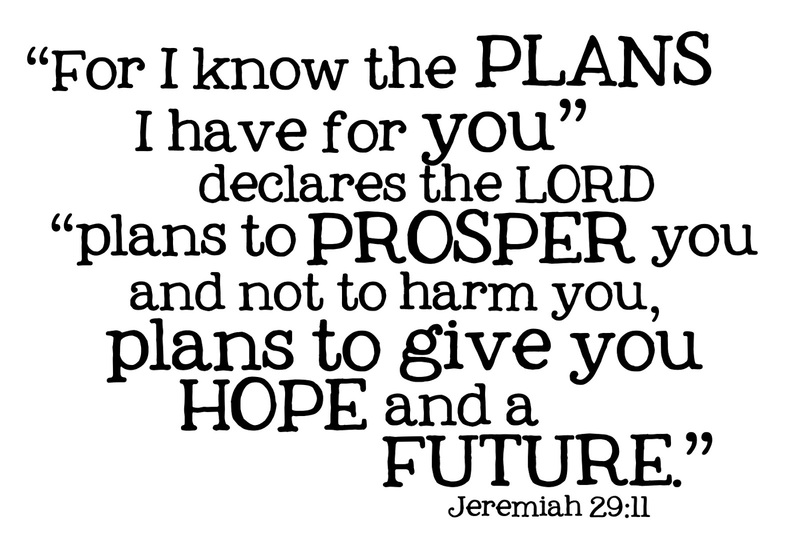 Whether you're an athlete dreading the tryout, a student fretting about the new school year, or just nervous, know that everything works out for the better in the end. I promise.